Especially with teams playing division opponents in a high percentage of their games, the quality of batters faced by starting pitchers varies dramatically. Second-time arbitration eligibles Brandon Morrow and Luke Hochevar had comparable seasons statistically in 2011, but Morrow had a much greater challenge as the table reveals. Nearly 16 percent of the batters faced by Morrow hit .300 and eight percent had a .900 OPS or higher. In both cases, he surpassed Hochevar by a significant margin. Morrow also pitched to far fewer weak hitters – based on the criteria of a .225 average and .600 OPS. The 777 batters faced by Morrow in 2011 had a combined .271 batting average and .770 OPS. The batting average was the highest among all American League starters, while the OPS placed second. Therefore, Morrow faced the second best group of hitters in the AL. Morrow not only took on strong hitters, but he did so in tough parks for pitchers. 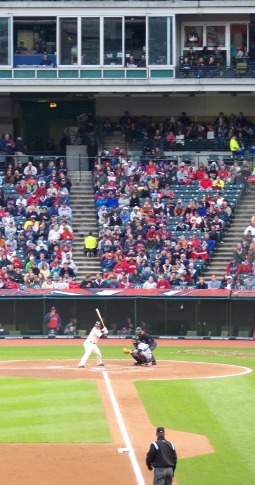 We classify “Hitters Parks” as stadiums that increased run production by at least five percent last season. The Rogers Centre – where Morrow started 16 of his 30 games – met this criteria, as did five road parks where he started. That meant he took the mound in hitters parks an incredible 70 percent of the time. While innovative statistics with complex formulas and explanations can help your arbitration eligible player, they also consume valuable presentation time during the hearing. On the other hand, it takes more than core metrics to tell a player’s complete story. Putting a simple spin on statistics like holds leads to powerful arbitration exhibits. Holds vary tremendously in their impact on wins. There’s a huge difference between a one-out hold in the seventh inning with the bases empty and getting three outs in the eighth with runners on. There are numerous ways to compare the value of holds: average innings pitched per hold, holds in the eighth inning or later, one-run holds, etc. 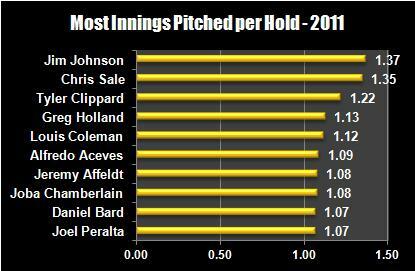 The chart below shows the top 10 in innings pitched per hold among relievers with at least 10 holds in 2011. Among the pitchers shown above, only arbitration eligibles Tyler Clippard (38) and Daniel Bard (34) had more than 20 holds. In other related categories, Chris Resop had 11 holds that protected one-run leads (out of 15 total). And he inherited 12 runners in his holds – none of which scored! Mike Adams shined in several of these categories. While he ranked sixth in total holds with 32, each of them came in the eighth inning or later. Angels General Manager Jerry Dipoto made some interesting comments while speaking to Brian Kenny on MLB Network's outstanding new show Clubhouse Confidential earlier this month. "There are very few players out there that have perfect skill sets," said Dipoto. "But if you look close enough at each one of them, they all do something or multiple things very well. What you're trying to do with a 25-man roster is create a balance of what your team does very well." 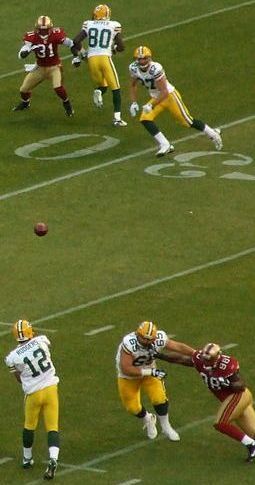 The July 2010 Sports Resource Newsletter addressed this topic, demonstrating how Jeff Baker brought his team value by hammering lefthanders. Successful clubs also need relievers who can work out of jams. We researched all non-closer relievers to identify the top “Escape Artists” for 2011. The pitchers had to inherit two or three runners with either zero or one out and then complete the inning without the baserunners scoring. David Robertson shined in this area, succeeding in eight out of 10 opportunities. Kansas City righthander Greg Holland worked out of all six jams meeting this criteria. Our arbitration packages emphasize all the areas - relevant to the arbitration criteria in the CBA - where your client excels. Then, we show how his success in these areas impacts the club.